AGED 42. MISS. 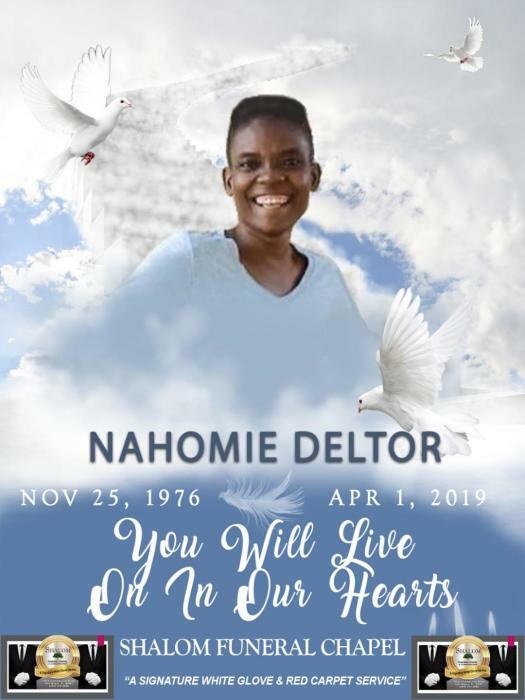 DELTOR DIED IN A TRAGIC CAR ACCIDENT ON MONDAY APRIL 1, 2019 IN FORT MYERS. FRIDAY APRIL 19, 2019 7:00 P.M. - 9:00 P.M.